A man who admitted possessing a handgun and conspiring to murder has been sentenced to 11 years in prison. Luke Wilson, 23, from Cremona Road, Ballyfermot, Dublin had pleaded guilty to conspiring to murder Gary Hanley between 15 September and 6 November last year. He also pleaded guilty to unlawful possession of a Beretta handgun with intent to endanger life. Wilson was sentenced to 12 years, with the final year suspended, on the gun possession charge. He was sentenced to six years in prison on the conspiracy to murder charge. Both sentences will be served concurrently. Presiding judge, Mr Justice Tony Hunt, said the rapid firing weapon and ammunition held by Wilson had the potential to cause death and serious injury. He said very serious harm was intended and was only prevented by good police work and the timely intervention of the gardaí. The court accepted that Wilson was on the "lower tier" of the organisation and took part in the operation at a late stage. The judge said he was motivated by financial and gambling issues but this did not amount to duress. The main mitigating factor was his early guilty plea, Judge Hunt said. Wilson was arrested in November 2017 after a garda surveillance operation lasting several weeks uncovered a plot to kill Mr Hanley. The court heard that gardaí received information in July 2017 in relation to a car with false registration plates. A surveillance operation was launched on a number of cars and people. 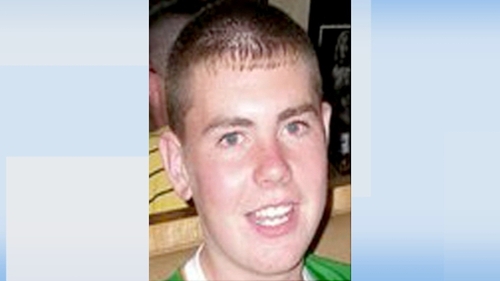 Wilson was not the focus of the early stages of the investigation but later came to the attention of gardaí. A number of people were observed carrying out reconnaissance trips to plan routes to and from the target's house, plot how best to kill him and to arrange getaway vehicles and routes. Audio recordings from inside cars were obtained by gardaí of extensive discussions to plan the shooting. In one recording, Wilson was heard saying that Mr Hanley "doesn't even understand why our people want him gone. He is a f*****g idiot." He also discussed how best to carry out the attack on Mr Hanley and said he had no problem "camping in the back of the van and waiting for an opportunity to get him because he is going to come out at some stage". He also agrees with another man that it was "all about getting him" and says "more homework has to be done. We are the ones risking our lives. No more jail, We want money not jail." Gardaí put a plan in place to intercept the attack and a van carrying Wilson was stopped in Dublin on 6 November, 2017. He was in the back of the van and had a dark holdall containing a semi-automatic pistol with a silencer and 15 rounds of ammunition. He also had a black ski mask in his pocket and three containers of petrol. The Special Criminal Court heard he had 36 previous convictions.